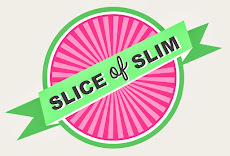 If you are new to Slice Of Slim or a regular follower, I just wanted to say thank you so much for coming on board with me and following my foodie inspirations! I've had some fantastic opportunities and experiences working with some interesting brands and met some lovely people. The photos above are just an extract of the recipes, ideas and inspirations I posted during 2014-on the blog, Facebook, Twitter, Pinterest and Instagram. I hope they prove to you that eating healthily, losing or maintaining your weight doesn't have to be boring and is an ongoing process for ever! It does mean that you have to think about and plan low fat and creative solutions for yummy meals and snacks so that the boredom doesn't set in-but that's where I come in...I constantly innovate low fat delicious recipes and work out all the propoints/calories for you so that hopefully, whichever plan you follow, you can benefit from my healthy obsession for food! Lots more planned for 2015 so enjoy the ride!